Bridging the gap between compliance teams and financial advisors. 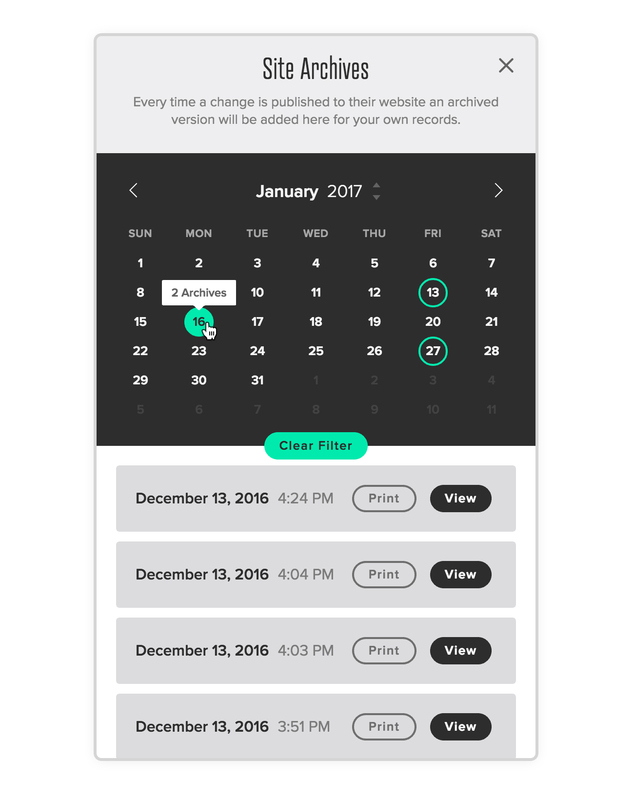 Your team will receive a notification when a website is submitted so that they can review all website content easily, in various formats. Your team can quickly recommend changes using the live chat tool to send attachments and communicate directly with advisors. Rest easy knowing that your advisors submitted changes won’t be published until a compliance officer from your team approves them first. Work individually or as a team. 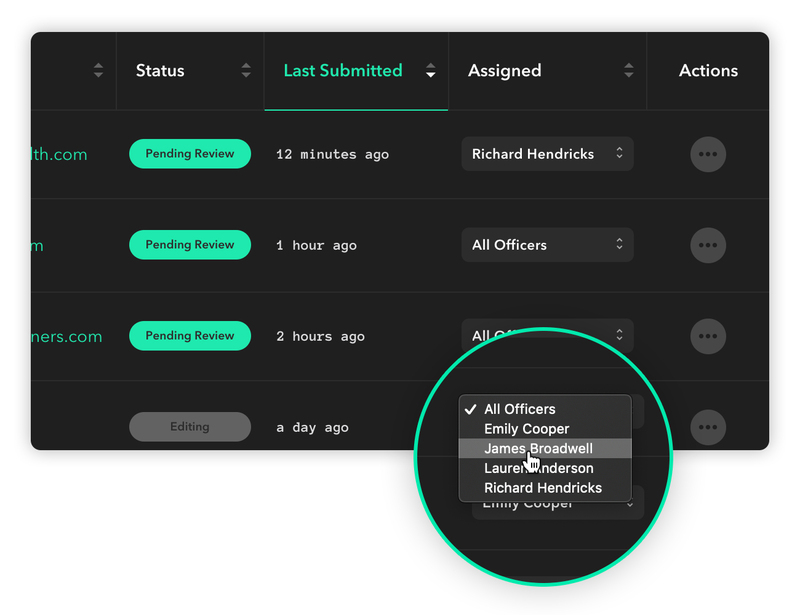 Create unlimited officer accounts and optionally assign advisors to streamline your workflow. Working in a team? Create unlimited officer accounts and allow your team to login and begin managing advisors. 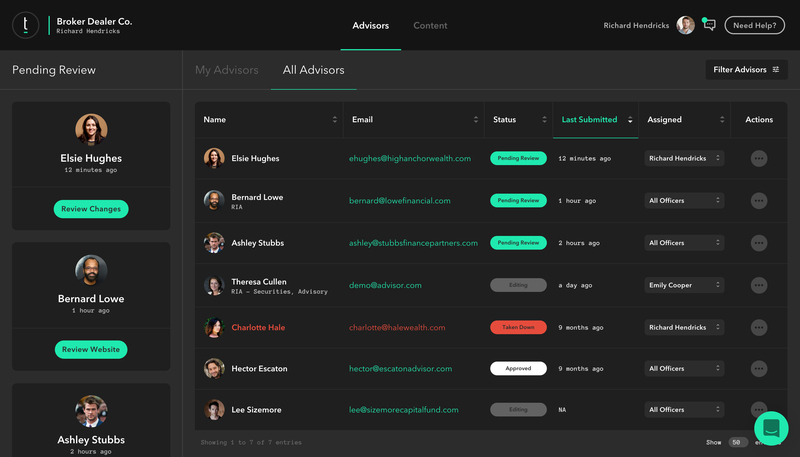 Want to only allow certain members of your team to manage specific advisors? 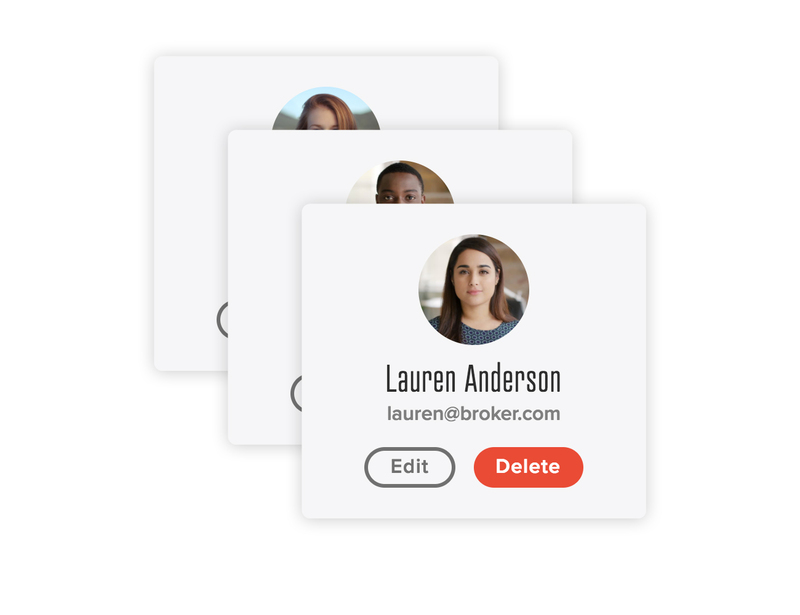 Quickly delegate advisors from your dashboard. 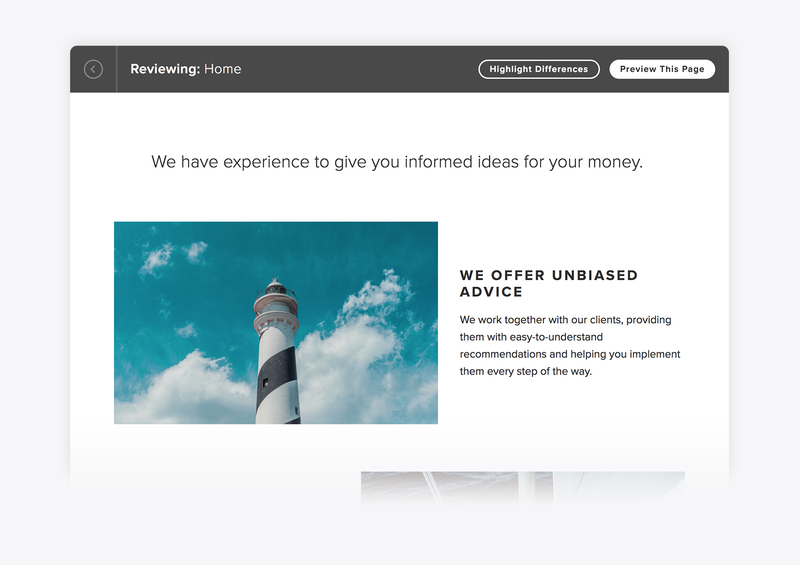 You’ll have access to a private website URL, print-friendly documentation, as well as a robust compare tool to identify changes. 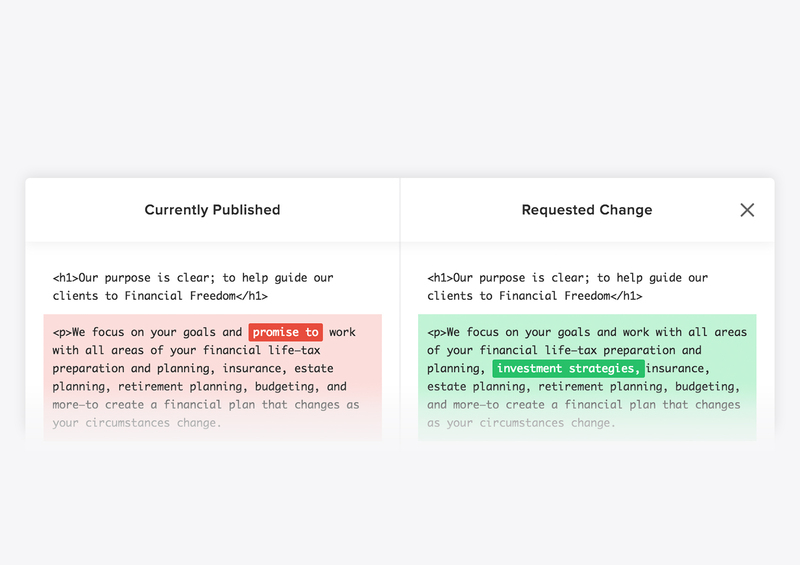 Stand-alone page content allows you to quickly review changes before viewing the full page in your browser. Use the compare tool to drill down further and identify differences between what's current and what's being requested. Talk directly with advisors with live chat, send attachments, view their archive history, and get notified of new changes & messages. 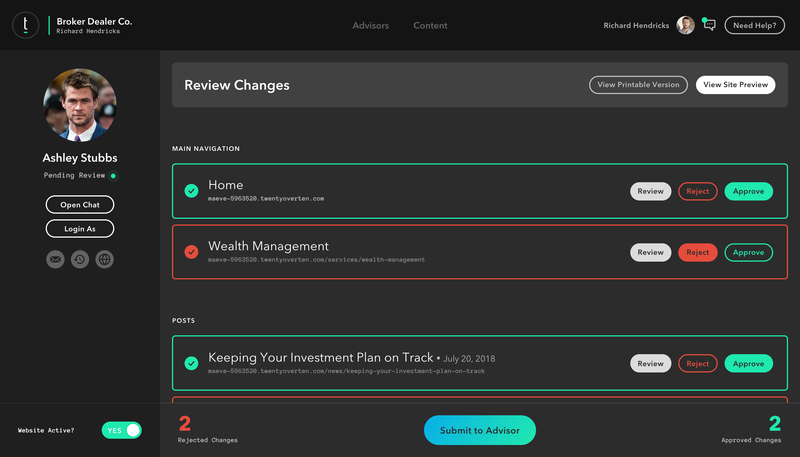 Use the visual calendar to search through an advisor's archived changes. See an archived version of their website with a single-click and access to print-friendly documentation. 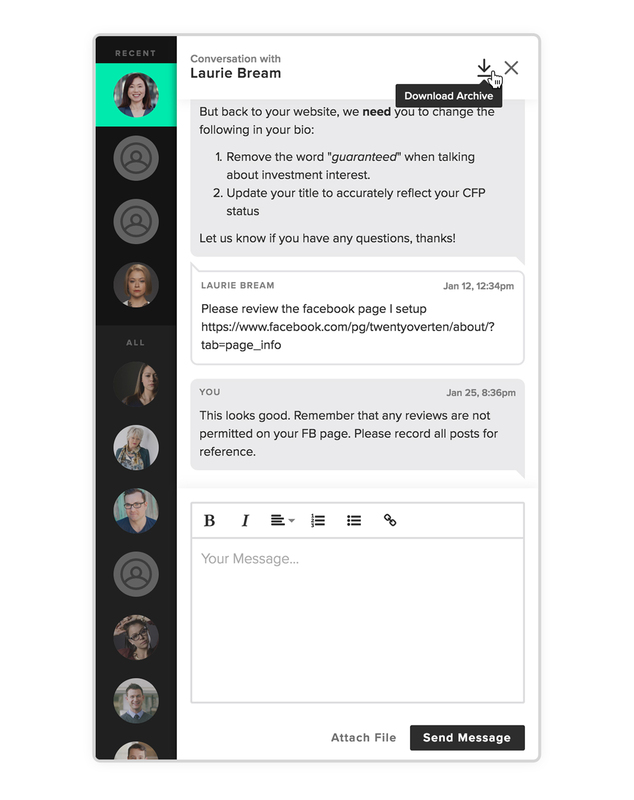 Talk directly in-app with all of your advisors. Easily send attachments and view the entire chat history or download an archive of it at anytime. Contact us today to book a demo or to get started.